After struggling to make his presence felt in Tollywood for more than two decades, comedian Prudhvi finally got his due a couple of years ago. Prudhvi is one of the star comedians in Tollywood at the moment. 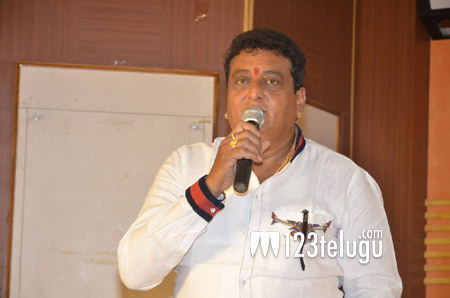 In his recent release, Dwaraka, Prudhvi’s hilarious comedy as a baba left audiences in splits. Expressing happiness over the film’s success and the way audiences have been enjoying his comedy, Prudhvi, in the film’s success meet today, vowed to never act in spoofs, his strong forte. Prudhvi went on to state that his fans and audiences will see the real actor in him in all his upcoming movies.